Remove the crust(edges) from all sides of the bread and cut the bread slices in to desired shapes (like triangle, square or rectangle). In a bowl, mix gram flour with rice flour, carom seeds, red chili powder,coriander powder,turmeric powder and salt. Add baking soda and mix nicely. Heat oil in a pan on medium flame. 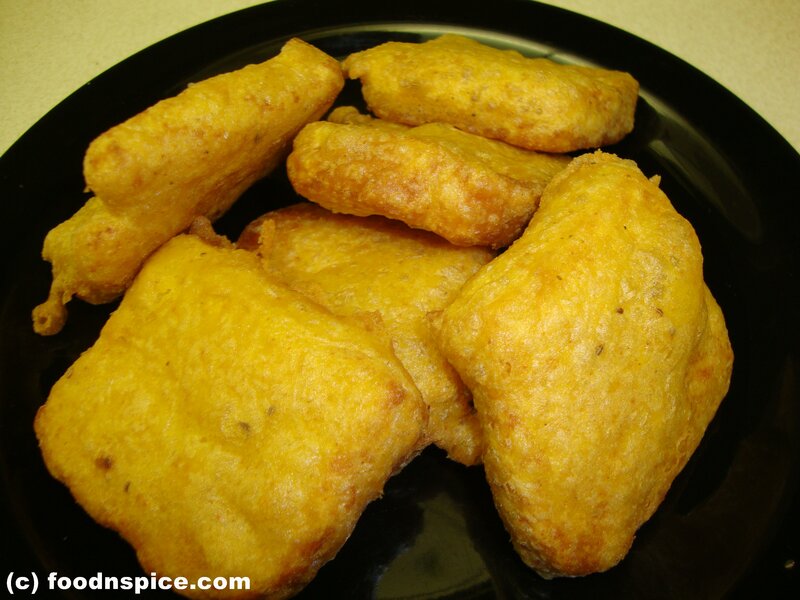 Dip the bread piece into the batter and deep fry till both sides are golden.